The British public has had its share of enjoyment in indulging in re-releases of undiscovered classics, films independent of the constraints of mainstream Hollywood and cinema from areas of the world outside of the UK and the United States. Among the film distributors we have to thank for this include StudioCanal UK (formerly known as Optimum Releasing), Arrow Films, New Wave Films, Matchbox Films, the LGBT-affiliated Peccadillo Pictures and Thunderbird Releasing (especially under its previous guise as Soda Pictures) with the newly established Modern Films (a distributor specialising in feminist cinema) set to join the scene with the upcoming releases of Utoya – July 22 and Cannes prize winner Happy as Lazzaro. But none have been more prominent than the UK’s main provider of world cinema, Artificial Eye. With that set, allow me to take you on a journey charting the history of said distributor with some ancillary details being added along the way. Artificial Eye was founded in London in 1976 by film enthusiast husband and wife Andi Engel and Pamela Belfry, the latter of whom had worked extensively at the London Film Festival alongside film critic and New York Film Festival founder Richard Round. The first film to be distributed by the company was Padre Padrone, the Neo-Realist drama that saw the Taviani Brothers walk away with the Palme d’Or (Arrow have since acquired the distribution rights). The studio also released countless short films during this period; the most notable of these was Tim Burton’s 1982 animated short Vincent. Since its founding, Artificial Eye has distributed films from across the globe, from its native United Kingdom to the more obscure world cinemas such as Mauritania and Senegal. In 2006, Artificial Eye was inducted into the Curzon World, bringing it under the umbrella of an organisation whose other outlets included the Curzon cinema chain and VOD service, DVD distributor Fusion Media Sales and Chelsea Films who specialise in horror movies. 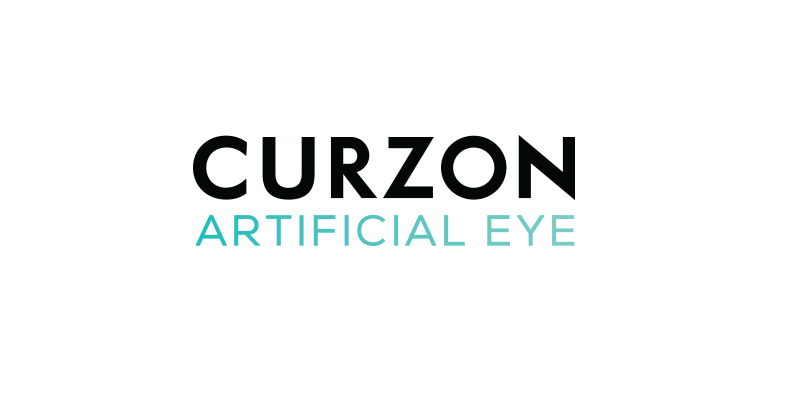 In 2017, Artificial Eye’s bringing of world cinema to Britain was rewarded when the Curzon group received the BAFTA Film Award for Outstanding Contribution to Cinema. Multiple features from Austrian auteur Michael Haneke including The Piano Teacher (2001), Hidden (2005) and his two Palme d’Or winners The White Ribbon (2009) and Amour (2012), the latter going on to claim the Foreign Language Film Oscar the following year. The feature films of Belgian brothers Jean-Pierre and Luc Dardenne, which can be found as a box set that includes Palme d’Or winners Rosetta (1999) and The Child (2005) and Two Days, One Night (2014). Three feature films made by Russia’s Andrey Zvyagintsev, which are Foreign Language Film nominee Leviathan (2014), Golden Lion winner The Return (2003) and The Banishment (2007). His other two films Elena (2011) and Loveless (2017) have homes with New Wave and Altitude respectively. Three Colours Trilogy (Krzystof Kieslowski, 1993-4) – A trio of interconnecting films all centred around the colours of the French flag. Blue (1993), White and Red (1994), with a host of acclaimed French performers including Juliette Binoche, Julie Deply, Jean-Louis Trintignant and Irene Jacob. Beau Travail (Claire Denis, 1999) – An artsy take on Herman Melville’s novel Billy Budd from one of the most acclaimed female directors of our time. 4 Months, 3 Weeks and 2 Days (Cristian Mungiu, 2007) – The most critically acclaimed film to come from the Romanian New Wave and the first ever feature from that country to win the Palme d’Or. Fish Tank (Andrea Arnold, 2009) – Before she found acclaim in America as director on such TV shows as Transparent and Big Little Lies, Arnold brought the life of the British lower classes to the big screen with Fish Tank. The DVD release also includes Arnold’s Oscar winning short Wasp, which covers similar ground. Blue is the Warmest Colour (Abdellatif Kechiche, 2013) – The LGBTQ love story that took Cannes by storm, especially since it coincided with the vote to legalise gay marriage in France. Ida (Pawel Pawlikowski, 2013) – A Robert Bresson-esque road movie centring on a nun searching for the truth behind her parents’ death during the Nazi occupation of Poland. Features some lovely Oscar nominated monochrome cinematography. Anomalisa (Charlie Kaufman and Duke Johnson, 2015) – Artificial Eye’s rare jump into the realm of animation with Charlie Kaufman’s stop-motion black comedy of a motivational speaker’s business trip. It’s also worth noting that Rick and Morty creator Dan Harmon is one of the executive producers, this would make a very odd crossover. The Handmaiden (Chan-wook Park, 2016) – A second media-related adaptation of Sarah Waters’ Fingersmith (the first being a 2005 BBC miniseries), Chan-wook Park’s take on the Man Booker Prize winning historical crime novel relocates the action from Victorian England to 1930s Korea during Japanese occupation. It also has a BAFTA to its name, which serves as a form of compensation since AMPAS has yet to recognise South Korean cinema. A Fantastic Woman (Sebastian Lelio, 2017) – A Chilean drama film centring around a transgender woman (played by breakout transgender actress Daniela Vega) as she comes to terms with the death of her lover. Among some of the more classical areas of Artificial Eye’s library include the works of many of the world’s most acclaimed auteurs. These include re-releases of classical foreign language and art house features by the likes of Andrei Tarkovsky, Theo Angelopolous, Kenji Mizoguchi, Robert Bresson, Wim Wenders, Satyjit Ray, Abbas Kiastorami, Agnes Varda, Aki Kaurismaki and Lars von Trier. Since the start of 2018, Artificial Eye has been continuing to expand the library by trawling the film festivals and foreign film industries for new releases. As of writing this blog, a few more films are scheduled to screen in the UK under the Artificial Eye banner. The two most notable releases (held over from last year) include the Oscar nominated Agnes Varda documentary Faces, Places and Israeli war drama Foxtrot (which took home the Grand Prize of the Jury at Venice last year). Of the other releases that are on the books include two recent acquisitions from Cannes. These are prize winners Dogman (Best Actor – Marcello Fonte), Matteo Garrone’s return to Gomorrah territory, and Pawel Pawlikowski’s Ida follow up Cold War. We at MusicMagpie await their releases with baited breath, I hope you do too. Check out all of these films and more in the Curzon Artificial Eye collection on the musicMagpie Store! We have hundreds of Blu-rays at amazing prices to choose from, all with FREE delivery.